Which Carrie Bickmore Are You? Instaperfect Nap Goddess or Tired Mum? INSTAGRAM versus REALITY! 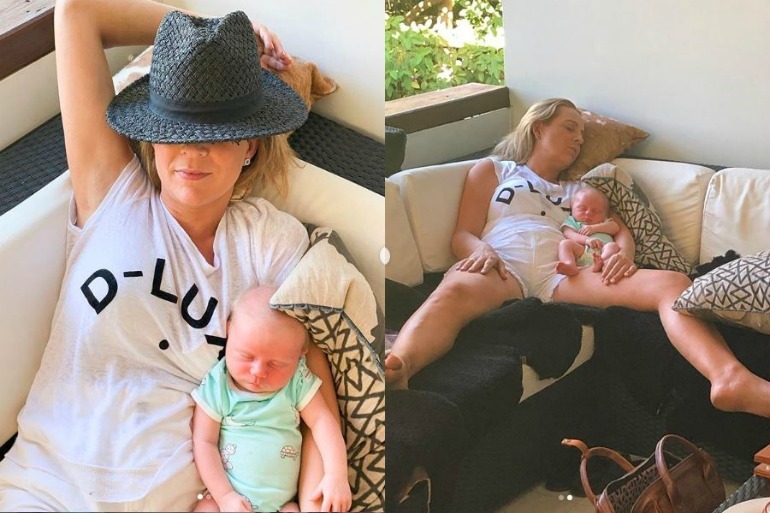 Carrie Bickmore proves she’s one of us by posting two VERY different pics on her insta account. Caried shared the split=personality photo today. Taken in December a few weeks after her baby girl Adelaide was born, she shows us what tired mamas REALLY look like. And this is why we love her! It’s easy to see other mum’s photos on social media and compare yourself. But just remember! Behind every stylish glamour shot is a LOT of filters, props and tried and tested camera angles. Celeb mum Carrie Bickmore gave birth to her third child in early December. A gorgeous little girl called Adelaide. (She also has another daughter Evie, aged three, with her partner Chris Walker, and an 11-year-old son Oliver from her previous marriage to Greg Lange). A few months on, she’s now shared two photos from when Adelaide was two weeks old in a hysterical Instagram post. 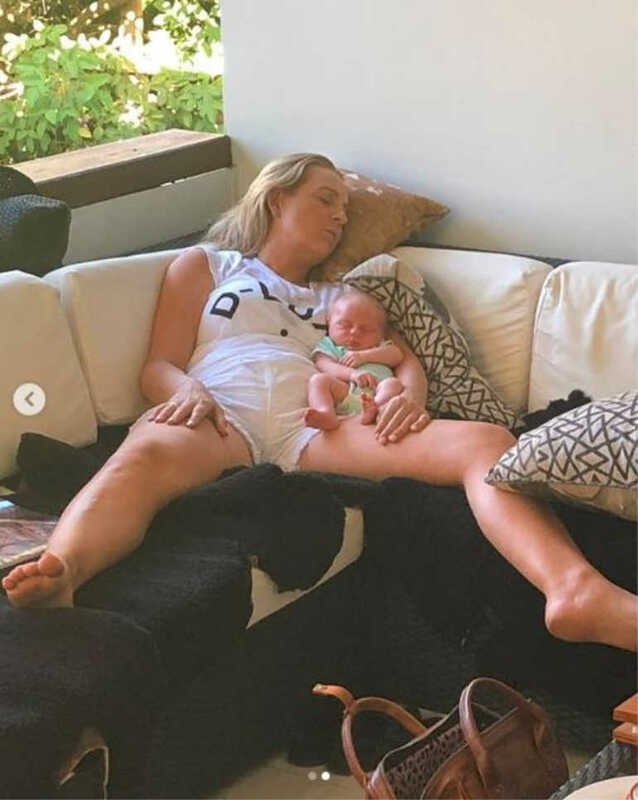 They show her having some much-needed snooze time with her bub, and all us real mummas can relate. In the first picture (see below), the host of Channel Ten’s The Project is stylishly napping on the couch with one arm casually above her head which is mostly covered by a hat. Cutie Adelaide is tucked under her other arm. So beautiful, so blissful. Makes motherhood look so darn easy. But are things really what they seem?! “INSTAGRAM verses REALITY (swipe right) 藍 1st pic was taken on a flattering angle, with some props, some casual hand positioning, some clever cropping and a nice little filter added,” Carrie wrote in the beginning of her caption. And then the truth comes out… Apparently this was actually the SECOND shot taken that day. And it had a bit of a helping hand! “The 2nd was the real moment captured without my knowledge a couple of weeks after Adelaide was born before I woke up and suggested we take a nice shot. ” The 38 year-old added. The original photo (see below) is totally raw, exhausted newborn haze #mumlife. And we love it! So which Carrie are you?! Tell us on Facebook! If you’re also in the newborn-sleep-deprived-zone like Carrie, check out these energy boosting foods to keep you going.